The idea of connection has always been central to my understanding of the road to growth and transformation. Anyone on this path wants – needs – to feel part of something bigger, something we may call spirit or source or energy or God or the light. That’s the overarching goal. Then we all seek touchstones on the way, the means to feel connection as we navigate life here on earth. For me and many others, the world of nature is the realm that helps me see beyond my small human self and see that right here and now we share existence with other living beings, other species, other energies that are uniquely themselves but joined by that greater source. Take our fellow animals; I am convinced that they act as our teachers and even channels to help us access a higher aspect of ourselves. We’ve heard those stories about lost dogs who find their way home sometimes over many thousands of miles and unbelievable obstacles of weather and geography. We hear of nonhuman animals “predicting” natural disasters like tsunamis by seeking safety well before humans know of any danger. We talk of our fellow creatures, domestic or wild, having some sixth sense. Indeed, mainstream science is now starting to accept that nonhuman animals may well be responding to some vibration or energy that is beyond the range of human perception. They’re making connections that we don’t. A Cambridge University trained biologist, Rupert Sheldrake, points to the behavior of species like homing pigeons. He believes they and other nonhuman species bond to each other and to their home or “person” through invisible fields — “morphogenetic” fields (a term from evolutionary biology) — that are fields of information linking members of a social group. We who live with companion animals may also experience the behavior of dogs and cats who seem to anticipate our arrival home – waiting at the door for their special person. Sheldrake actually researched this behavior, testing the statistical frequency of how often a terrier got up and went to the window at the same time that his person left for home – even though she came at random times. The frequency, according to Sheldrake, was well beyond what would be expected by chance. In fact, we’re in the midst of a kind of scientific explosion of findings regarding the connections of other living things. Recent studies show, for example, that trees actually communicate with each other through fungal networks and electrical signals! I for one will never look at a tree the same way again! So then we come to the anecdotal stories of telepathic communication between people and nonhuman animals. I’ve personally worked with animal communicators or intuitives who apparently “translate” what an animal is thinking or feeling. The animal psychics say they get images or sounds or feelings from the animal. In my experience working with animal communicators, there was no way they could have known certain information about my dog unless it was by some means beyond our human physical senses. I am by nature a skeptic, unwilling to believe in things like telepathy at face value. But I have become a believer that there is indeed a channel of connection between us and our fellow creatures that reaches into a paranormal – beyond-the-normal or material – dimension. 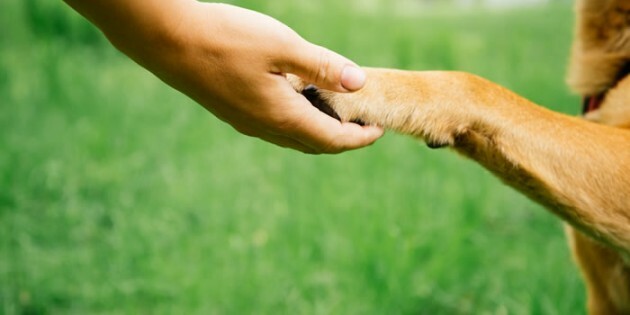 Even in terms of anecdotal evidence, there are many stories of companion animals seemingly sensing when a loved human (or a fellow animal) has died or is in danger. If the paranormal remains strange territory to you, there’s much empirical evidence that other species are more like us, more connected to us, than we may have imagined. Research is discovering the cognitive skills of dogs – for example the ability to learn the names of objects. And neuroscientists are scanning dogs’ brains and finding that they experience emotion in much the same way we do. There are studies showing that dogs can read our emotions by our facial expressions. So can horses, by the way! So even in terms of biology and the physical world, we can communicate with these species; we can connect. I’m truly excited by all these discoveries about how we can actually realize the connections between us and other beings. They have so much to teach us about how to live in harmony with nature, other beings and within ourselves. Just think of how that wagging tail or the purr of a cat makes you feel when the apparent chaos of the world gets to you. Those tail wags and purrs are just the tip of the iceberg when it comes to ways an animal can bring us back to the wellspring of our spirit. I want to explore the connections between humans and our fellow beings on some Connecting to Light calls coming up soon. I hope that you will be joining me!